Last night I wanted a quick delicious meal (as always), then I remembered I had a salmon in the freezer. There are a lot of different fun ways to make salmon, bake it, broil it, grill it.. etc! I wanted to try something different as for a rub…. so I did a little searching on the ole Pinterest & this is what I came up with! Directions: Preheat BROILER to 500 degrees. 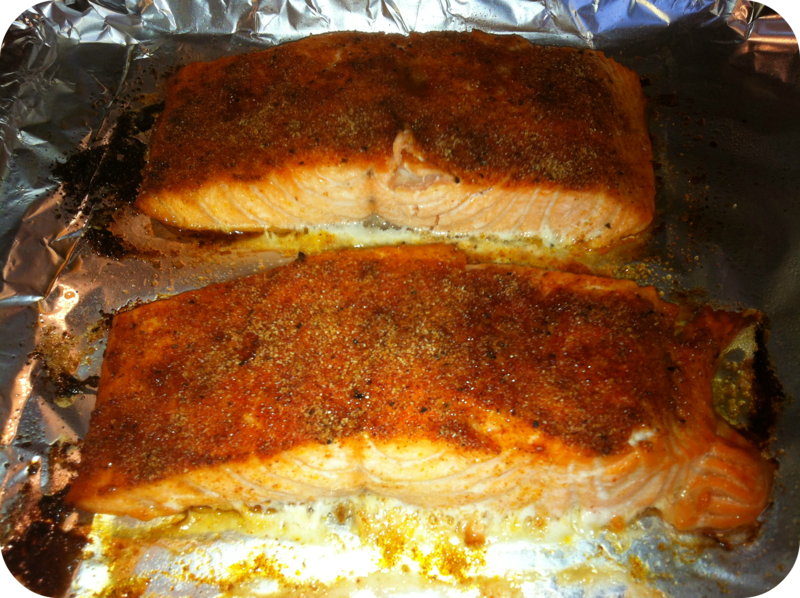 Lay your salmon on a non-stick cookie sheet, (I spray with Pam, just incase… hate the sticky mess!). In a small bowl mix together all dry ingredients. Once mixed sprinkle over the salmon & press the spices lightly into the salmon. Throw (not literally..!) salmon under the broiler (top rack) for 8-10 minutes. If you like your salmon to have a bit of a crunchy crust.. you will LOVE this recipe! It has the nicest look, giving you the crust with the middle being tender! This recipe would also work great on the grill… on those real hot days! 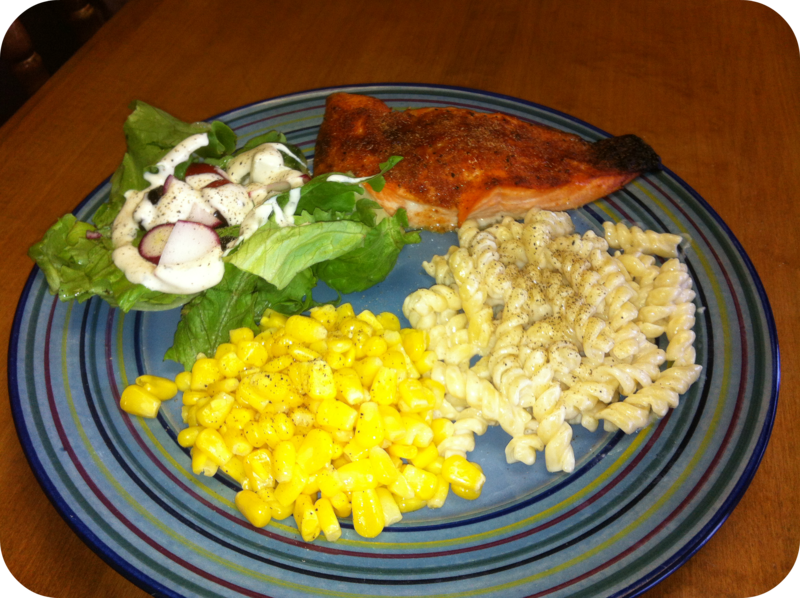 I paired my salmon with some Alfredo Rotini, corn & fresh garden salad! It was summery, light & Ohhhh Sooo Tasty!